As you may have heard, much of the southern states were socked in with snow, ice, and well below average temperatures. At the end of the storm, 13″ of snow was recorded in the Texas panhandle and at its peak, 142,000 customers were without power within the state of Oklahoma. This picture is from Andy Boxell who works for the National Weather Service in Romeoville. He was visiting Norman, OK during the storm and was kind enough to share this picture with us. What was the cause of the intense winter weather so far south? The main contributor to this system was a shift in the jet stream. Locations near the gulf are usually under the influence of what’s known as the Subtropical Jet. This jet stream is usually found closer to the equator, is situated higher in the atmosphere, and transports warmer air. During this storm, the Polar Jet, which brings us much of our cold air, took over and transported much colder air very far south. Combined with a disturbance, this setup dumped a massive amount of wintry precipitation in an area that is not well equipped to deal with the magnitude that fell. We are slated for a bit of snow late on Monday through Tuesday, but the system responsible for our wintry precip chances will not be a large low pressure system or a powerful cold front. Whats known as a shortwave is set to make a quick dash through the stateline. As many of you know, the jet stream is an area of quick moving air thousands of feet above the ground. This pattern has turned more zonal recently, which is more of a west to east flow, giving us daily temperature variations near normal values. When we get a slight deviation in this flow, as seen in the picture, this can add enough energy to our atmosphere to promote some light snow. At this time, an inch or two are possible out of this quick moving system before we see a slow rise in temperatures behind it. Biggest full moon of 2010! You’re not losing your mind if you think the moon looks unusually large tonight. In fact, it is the brightest and biggest to be seen in more than a decade! Each month, the moon makes a full orbit around the Earth in an oval path (not completely circular). Tonight, it will go by Earth at its closest distance, or perigree. Don’t worry, it’s not going to crash into us. It will be about 221,600 miles away (slightly more than the mileage on my six year old car). closer than average. However, this distance is about 17000 miles closer than average! Cool, huh? So, I write all this about a full moon only to tell you that there’s no such thing as a full moon. If you’d like to read more about that, click here! If you’re wondering, this full moon will cause abnormally high tides too! We have been lucky this week. Yea I know it’s been cold, but I would rather have the cold then what is happening just to the South of us. There is a path of winter storm warnings that stretch from the Oklahoma Panhandle to North Carolina. Here is what has happened so far and what they can expect through the weekend. Folks in the Texas Panhandle have received 13 inches of snow, Lubbock alone got 8 inches. Areas in Oklahoma have seen a heavy layer of ice that has snapped power line and tree limbs. The same scenario occurred in Nebraska. So far 142,000 homes and business are without power in Oklahoma. East into Arkansas they have lots of snow, 10 inches and counting. In Tennessee and some areas in Kentucky are seeing close to 8 inches of snow. Interstate 40 and 44 have been shut down in Oklahoma and Texas due to hazardous road conditions. Roads were not the only things shut down… so were flights out of Tulsa, Wichita Falls and Lubbock. National Weather Service forecasters are preparing areas in North Carolina for up to a foot of snow. Which city is the most tornado-prone in February? With tomorrow’s wake-up temperatures likely in the sub-zero range, it’s time to overemphasize the positive! Look at this output from our computer models and the steady warming trend that is expected to take place each day. Each colored line represents a model run. However the green lines are the forecast points from the NWS. Notice how much colder the NWS is forecasting things versus the models. This is based on the fact that the models aren’t forecasting dewpoints as low as they are. Also, with snowpack to our northwest, we will be colder in the first few days of the forecast period. 3…2…1… and we have liftoff! Space shuttle Endeavour is set to take its final 13-day flight to the International Space Station with a crew of six. Lift off is scheduled for February 7, 2010 at 4:39am (EST) from the Kennedy Space Center. Endeavour’s mission will include three spacewalks and the delivery of a very special room called Tranquility. This room will provide a touch of home (living space) for the crew members. Ohh wait there’s more… attached to that room that is the Cupola, which is home to a robotic control station with seven windows to give an amazing view of Earth. This launch is 1 of 5 shuttle missions that NASA has planned for 2010, with the last launch scheduled for September. Coolest thing you’ll see this week! Fog, clouds, and cityscape all in timelapse! The 2010 Olympic Games is sure being held in a beautiful city! Red Planet = more sleep! My trivia question on 13 News Today was “How long is a Martian Year?” It’s really interesting when you think about it. If you live on Mars, it’s just a normal year for you, but if you move to Mars it’s a long time before you can ring in the New Year. An Earth year is 365 days. A Mars or Martian year is 687 days. That’s twice as long! And just think of the calendar length… wow! 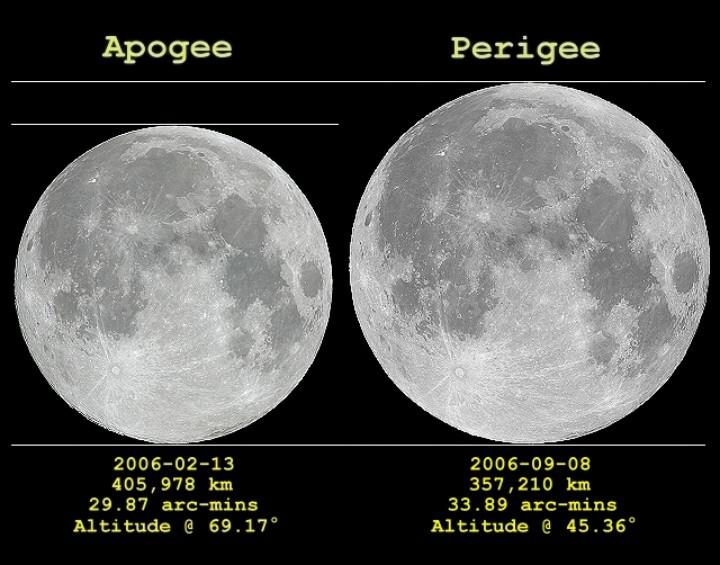 Now on our calendar we have the cycles of the Moon… a moon. Mars has two moons, so how would they work out the months? Hum??? There is also a difference in how long a day lasts. An average Earth day is 24 hours (23 hrs, 56 mins). A Martian day is actually longer (24 hrs and 37 mins)… which means if you move there, you would have more sleeping time. Excellent! So what are we waiting for…. let’s move to Mars. Ohh wait, we can’t. The atmosphere on Mars is 95% Carbon Dioxide, 2.5% Nitrogen, and 1.5% Argon. Maybe next year! 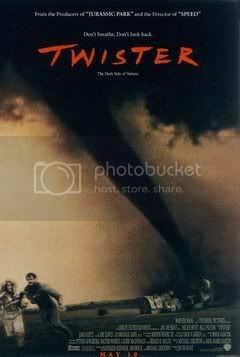 Rumor has it that Bill Paxton is interested in doing the sequel to “Twister.” And rumor has it that he’s looking at doing it in 3D! What do you think? In an interview with Bullz-Eye in conjunction with the season premiere of HBO’s “Big Love” (Sunday, Dec. 10th), Bill Paxton revealed that one of the items on his to-do list is a sequel to his 1996 blockbuster, “Twister.” Read more by clicking here.